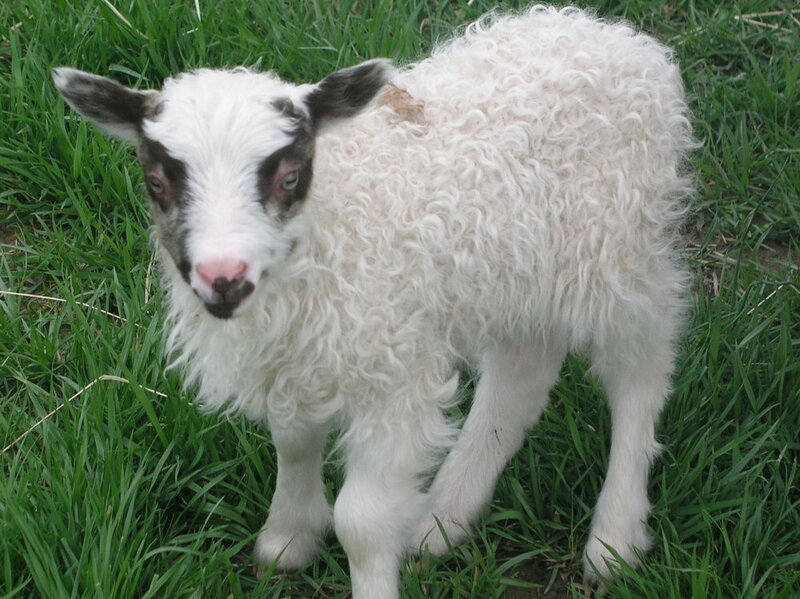 Icelandic sheep are a triple-purpose breed providing meat, milk, and wool. They are well-suited for a small diversified farm because they are hardy and require fewer inputs than many common breeds. Icelandic sheep perform well on 100% pasture and hay. 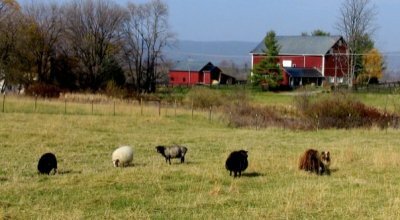 Our sheep are on pasture during the growing season and in the winter they are supplemented with hay. They also have free-choice natural minerals and kelp. Our sheep are grain-free. First and foremost, we are breeding for parasite resistance and overall hardiness in an organic production system with low inputs and no routine wormers, antibiotics, or other medications. Additionally, we select for desirable meat, mothering, and fleece characteristics. The primary jobs of the sheep are to graze the pastures and provide fertilizer for them. The sheep and the cows prefer different plants and have different ways of grazing, so they complement each other. We have lots of poison ivy trying to grow in the pastures, and Icelandic sheep love to eat poison ivy, which is one of their most important jobs here.